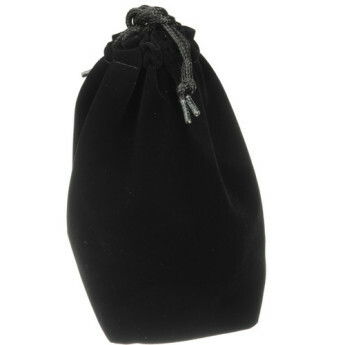 Lowest Price Online: $459.00 ? While I would like to complete a full Samyang 24mm f/1.4 US UMC Lens review in the future, please use the standard lens test results for now. 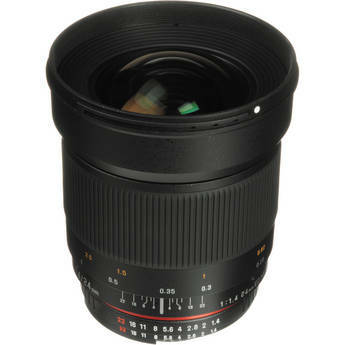 Handling and features This lens is available to fit many different types of cameras, including Canon, Nikon, Pentax, Sony and Four Thirds SLRs as well as Samsung NX mirrorless cameras. Apart from a lack of sharpness at very wide apertures, image quality is very convincing from this Samyang, making it very good value. 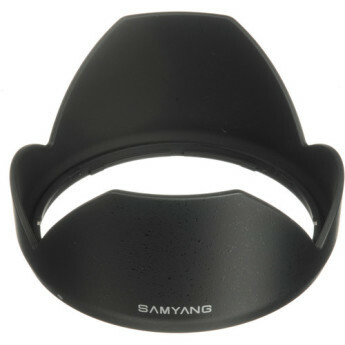 Samyang has long been a minor player in the UK lens market, but with supply improving, new releases extending the company’s range and each model available in most of the popular lens mounts, Samyang may just find itself emerging from the shadows. 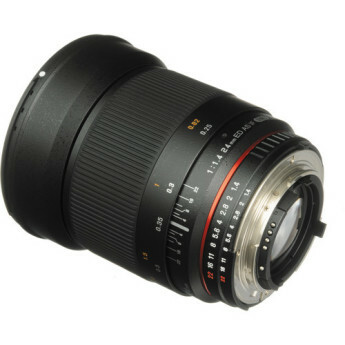 For the price, this Samyang 24mm f/1.4 offers a decent, budget introduction to fast aperture lenses. Although the sharpness delivered at f/1.4 may not be up to that delivered my manufacturer’s own lenses, it may still be usable for some applications, and it certainly costs a lot less too. very good image quality on stopping down the lens by 1.5 EV,, chromatic aberration well-controlled,, decent work against bright light,, well-corrected coma on APS-C/DX and smaller detectors. I had read that quite a few astrophotographers had noticed that the images had a defect at one side. I had taken daylight photographs and had not noticed anything odd but the first photo of stars showed clear distortion to the right side of the image. Don`t remember so nothing unfavourable. The box contained dust and a piece of old sticky tape, the lens had wear marks on the bayonet fitting. I have just done a few tests, no real night shots, which is why I bought it. Using Focal software, in theory the quality is poor under f2.2 In practice, it compared favorably (at f2.8) with a much more expensive 25mm lens. Really impressed with this Lens, wanted a manual focus, fast lens for Timelapse/Aurora and Astrophotography as well a Landscape Lens,I tried it out locally on a Canon 40D and got great results of Milkyway .Can't wait to try it on a Full Frame 6D. 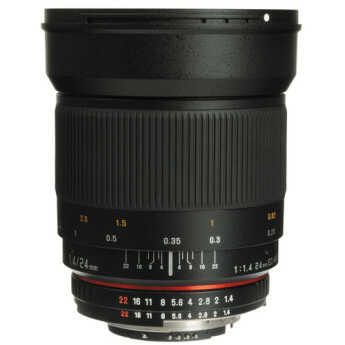 Firstly to provide some context to this review, I reviewed this lens alongside the Samyang 35mm lens using a Canon 5D which has a full-frame sensor (and therefore no CCD cropping). As a child when I first got to play with cameras, I had a 50mm and 35mm lens. First impressions are that this is a well made, good quality lens; although quite large at around 102mm long and not light at 680g. In use the initial impressions are confirmed, it is capable of taking good quality, sharp pictures.